Tamra is originally from San Diego but has lived in Virginia for 14 years. She received her cosmetology education from Mr. John's School of Cosmetology. 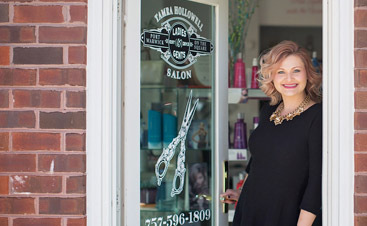 Tamra's passion is to reach out to her guests and provide the best salon experience possible. She specializes in color services as well as hair extensions. 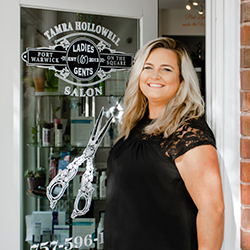 Tamra has participated in numerous education classes including Keratin Complex Certification, Babe Extension Certification, Eufora Cutting, Brazilian Blowout, as well as extensive Eufora color classes. Tamra's favorite quote and motto is by her beloved Ms. Elizabeth, "Pink Lipstick and Tolerance make the World Go 'Round!" Lacey, originally from Pennsylvania, has resided in Hampton Roads for 3 years. 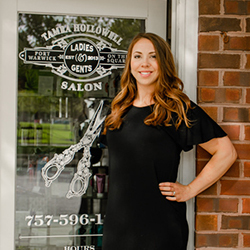 Receiving her Cosmetology education in 2008, she has dedicated the last 10 years to developing the knowledge and skills that formed her career in the beauty industry. 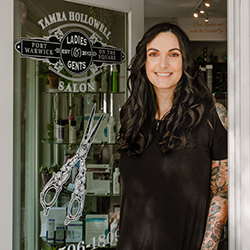 During this time, she’s become well versed in many areas of the profession, but it wasn’t until recently that she allowed herself to fully commit to what she enjoys most—doing hair. 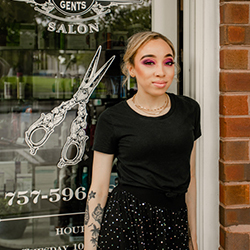 Lacey’s passion is becoming acquainted with each of her salon guests in order to help them find styles that best express their individuality and personality. She regularly attends beauty shows and comprehensive classes to stay informed on the latest techniques and trends. 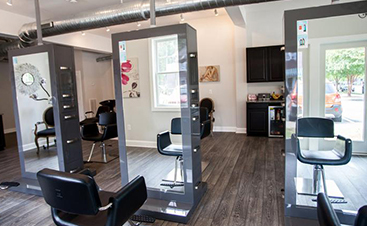 Her certifications include Keratin Complex and Eufora color, cutting, and products. 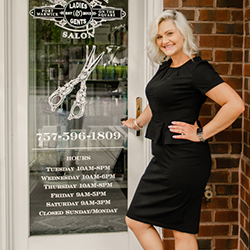 Although not limited to, a great deal of Lacey’s focus in the salon is on special occasion styles, precision cutting, razor cutting, and natural, multidimensional coloring techniques on different hair lengths and textures. Brittaney was born and raised here in the Hampton Roads area. She grew up in the salon industry, as her mom has been a hairdresser for over 30 years. She received her education at Dominion School of Hair Design. Since then, Brittaney has been working as a hair stylist who specializes in highlight application on all hair lengths and textures. Brittaney is also great with a variety of men's cuts and styles. She is certified in Keratin Complex and continues to further her education by taking classes that focus on the newest techniques and trends. Brittaney is dedicated to personalized customer service. She strives to provide her clients with education on how to best maintain their style. Amanda was born and raised here on the peninsula. She appreciates the little things in life, and believes the details are what make us stand out. She is dedicated to helping people feel better about themselves and finding out which details matter to each individual. She enjoys reading, historical writing, studying history, researching, and preserving the past. She believes that her grandparents influenced her appreciation for the past, as they raised her. 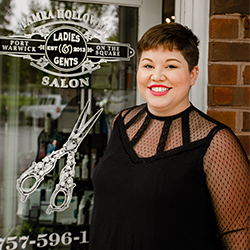 Amanda is available to help with any salon questions that you may have, and looks forward to making your salon experience unique and personable. Sarah is a Yorktown, Virginia native. She is a dual licensed Cosmetologist & Master Esthetician with 11 years of experience in the beauty industry. Sarah specializes in blondes & balayage & is versatile in cutting techniques. Certifications include Keratin Complex, Schwarzkopf, Dermalogica, Yonka, Eufora, and Hydropeptide. 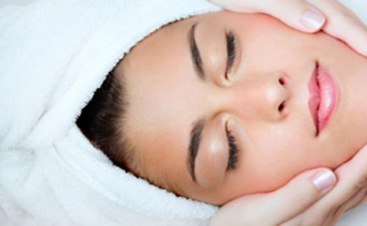 She is passionate about skincare and delivering immediate results with the ultimate relaxation experience. Sarah offers full body waxing and is an eyebrow expertise. Sarah believes in providing her guests with hair and skincare regimens that are practical for their lifestyles. Jas received her education through Regency Beauty Institute and has been a licensed stylist for three years. Jasmine is a passionate makeup artist, she lives for bright colored makeup and glitter. She enjoys glam makeup but also enjoys doing an everyday blowout and full face makeup. She is heavily influenced by 90s artists and films, both of which play a huge impact on her personal style and art. Creativity is extremely important to Jas, therefore she finds genuine joy watching how other stylist/people express themselves. Jas’ goal is to live life to the fullest and just be the best she can be. Amanda-Lauren is originally from Asheville, North Carolina. She grew up an army brat and moved a lot during her childhood. She has lived in Hampton Roads for 18 years and now considers herself a local. Her career as a stylist stemmed from a passion for all things vintage, and from styling her own hair as an alternative pinup model. She has worked on the Hampton Roads Vintage Festival, the Coastal Virginia Bridal Show, and with various photographers doing editorial work. 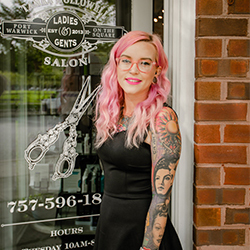 Amanda-Lauren comes from a family of hair stylist and credits her love of hair to visiting her grandmother’s salon in Asheville. She received her Cosmetology license through Virginia’s intensive apprenticeship program. She has attended Wella and Sebastian color and cutting classes in Miami, as New York City. She continues to peruse continuing education whenever the opportunity arises. Her specialties include formal styling and fashion colors. Her passion is to help people feel like the best version of themselves.